On the 12th January 2018, we sadly lost our President, Peter Howlett to a very aggressive melanoma cancer. 'Shrek' as he was fondly known around Emu, had been our President since 2016 but had served on the committee for many years before that. 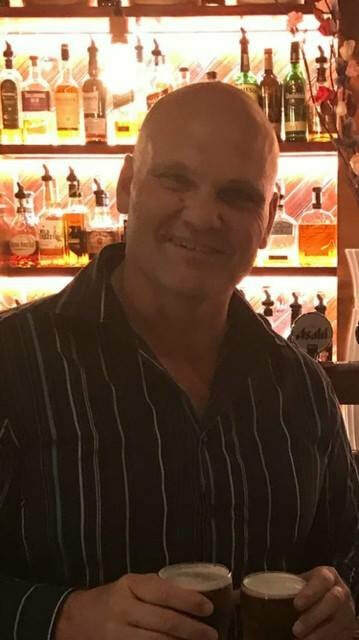 Shrek was a quiet achiever, working hard to make our club a better place to be whether he was working in the canteen, mowing the fields, being ground manager, collecting gate money on Sundays, or sweating it out on the BBQ. He also worked tirelessly behind the scenes, seeking out much needed sponsorship money whether it was for the whole club or a struggling junior team trying to find a jersey sponsor. He would spend countless hours on the phone to coaches, managers, players, parents and sponsors alike, all in the name of making Emu Plains Rugby League Club a better place to play footy. He never wanted to be thanked. In fact, he shunned the spotlight when he could and if he won a major club award (which he often did) you could never find him to award it to him. Shrek was a gentle giant who would give away his precious red frogs to kids at Leonay Oval, and was always there to help a senior player find a job when they'd fallen on tough times. It's been a long 5 months since he passed away and we miss him so much. Many of us have very fond memories of Shrek and we've waited until now to decide how we can best support his memory. Money raised during the Shrek Rounds will go towards setting up a foundation that will see every field in the Penrith Junior League supplied with sunscreen so players, coaching officials and supports can use the sunscreen year round. We will also look to see how we can provide shade cover for fields as well but the initial plan is to get sunscreen out to each field. The name of the foundation is not yet decided - the hard work of setting up the foundation begins after the Shrek Rounds have taken place. ​If you would like to support the Shrek Rounds, and the soon-to-be-formed foundation, there's plenty of ways that you can lend your support. This year's player jerseys feature a special tribute to Shrek on the front. Many people have asked if they can order a jersey so as a special offer, we are taking orders for these jerseys. 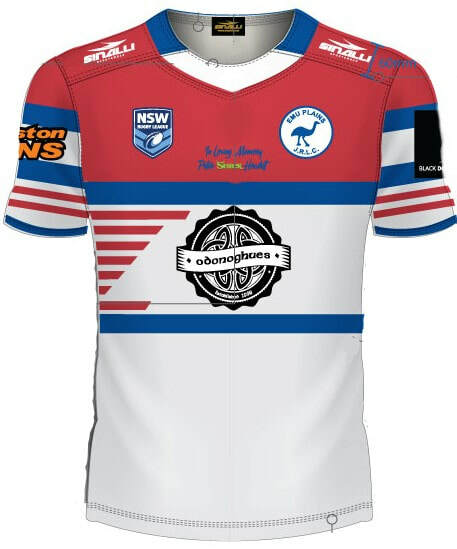 Jerseys will cost $77 and must be ordered by the 10th May with payments accepted on 12th May at Leonay Oval. Jerseys should arrive in time for the Shrek Rounds. You can choose the number that is printed on the back. To order a jersey please go to http://bit.ly/shrekjersey - a new form will need to be filled out for each jersey you wish to order. Silent auction for a one-of-a-kind "Shrek Jersey"
We're excited to announce a one-of-a-kind jersey silent auction in support of Shrek Round. It features a special dedication on the front, with a number 18 and "Shrek" on the back. 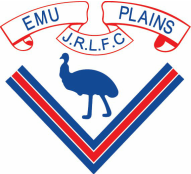 It's the regular Emu Plains JRLFC jersey design but with green replacing the red. This jersey will be framed by ProFrame and presented to the winner on the night of the 3rd of June at O'Donoghues (if they are present). Otherwise, pickup can be arranged from Leonay Oval at a later date. This is a rare piece of Emu history so let the bidding begin! Visit https://www.32auctions.com/shrekjersey to place your bid online. The auction begins at $100 and ends on Sunday 3rd June at 6:30pm. Only over 18s are allowed to bid. This will be a fun and highly entertaining evening of racing...but not like you know it. There will be 6 races on the card and then the 7th race, the Shrek Cup, with 6 horses racing in each race. Owners / Syndicates will bid to own a horse while punters can bet on the horse they think will win. Dice will determine which horse moves, and how far they move. The first one to land directly on the final square of the track is the winner, and will progress to the Shrek Cup. There's no prizes for second place. All bets are for the win! It's going to be a wild and fun (over 18s) night to support this great cause and we look forward to some entertaining race calls and horse names. ​The fun begins at 6:00pm upstairs at O'Donoghues with the first race kicking off at 6:30pm. There's a $10 entry fee with finger food provided at 7:30pm. For more details on the race night rules check out the images below. ​Follow the Facebook event here. Come on down to Leonay Oval for a day of footy and fundraising. We will have plenty of fun for everyone with a jumping castle for the kids and hopefully some Penrith Panther player appearances. The Under 6s, 7s, 8s and 9s will be invited down to run out on the field with our senior sides, and some teams will play friendly games at half time. All of our teams will run out in Shrek socks. Our sponsors will be invited to a VIP area to enjoy the footy and festivities. We will put a BBQ on the hill to save a walk for the hill dwellers. There will be a monster raffle (winners will be announced on 16th June after the Saturday Shrek Round) with plenty of prizes. Join us afterwards at O'Donoghues for a big Sunday preso with our usual raffle and presentations, plus the announcement of the winner of a special silent auction (details will be released soon). All in all, it will be a day filled with footy and all money raised will go towards the foundation. Come on down to Leonay Oval for a day of footy and fundraising. We will have plenty of fun for the players and their siblings with a jumping castle for the kids and hopefully some Penrith Panther player appearances. Our Sunday sides will come out and support some of our junior sides. All of our teams will run out in Shrek socks. There will be a monster raffle (winners will be announced at the end of the day) with plenty of prizes. It will be another day filled with fun and footy where money raised will go towards the foundation. If you are unable to attend any of the events above we have set up a GoFundMe page for direct donations. Please go to ​https://au.gofundme.com/shrekround to make a donation. We thank you in advance for your contribution.